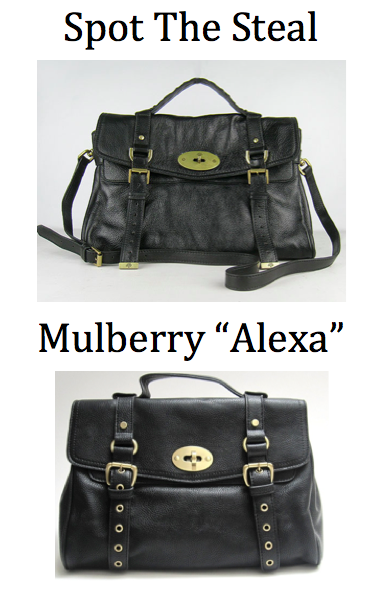 I think the Mulberry "Alexa" bag is one of my favorite designer bags, it's timeless and can be worn with just about everything. The satchel can be carried by the detachable shoulder strap or without, and carries everything you need...The only thing stopping me from splurging is the almost $1300 price tag. However, Mimi Boutique has an identical version of the "Alexa" for a fraction of the price. Yes please, one in each color?